In the first part of this interview, Micheal Berlyn and I talk about the history of Bubsy, which Berlyn created. He mentioned how the stress of big-budget development with growing team sizes was overwhelming and exhausting, so he took a break. Now, we talk about his return the the industry and his new-found love of the casual gaming scene. Michael Berlyn: When casual gaming came along, I had renewed interest in developing games again. At the time we shipped Bubsy 3D… my partner and I had a staff of about 24 people, and we were working on a PlayStation game for Sony called Syphon Filter, and another one for Accolade, and Bubsy 3D… And we had a kind of first-person, robotic shooter that was in development with another guy… designing it, who was very talented but couldn’t make a deadline. We were under a lot of stress and a lot of pressure. At some point, I had to say to myself, “You know, this really isn’t what I wanted to do.” What I wanted to do was design games and create characters and do fun products and create fun experiences for people. You know, I wasn’t into nuclear holocaust or shooting nuns or dismembering babies. I just wasn’t into it. It wasn’t my thing. It wasn’t a religious thing, it wasn’t a moral or ethical thing; it just never appealed to me. 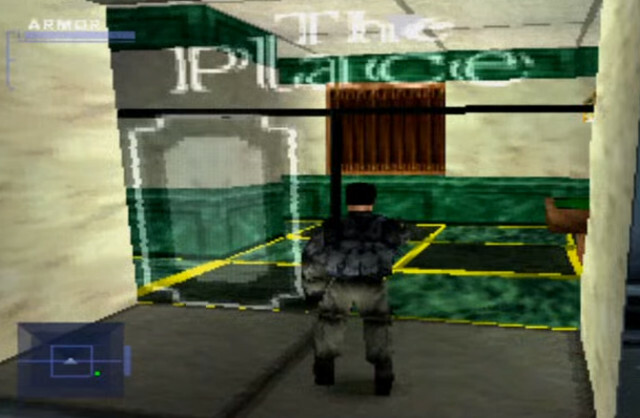 Josh: As the legend goes, you sort of got pulled into Syphon Filter as you were trying to pitch Bubsy 4. Is that true? Michael: I pitched two other products that were not Bubsy. One was called Sparky and Bolt, which was an electrical boy and a sidekick who was a dog, who was electrical also, in kind of a Jetsons future where appliances had come to life and were attacking the city. Sparky’s goal was to kill the enemies, and Bolt would act as a sidekick and recharge him and shoot lightning bolts out of his nose. It was a very well-developed concept. Josh: Yeah, that sounds really fun. Michael: I pitched it to Sega, and Sega said, “Not enough edge. Have Sparky be a punk with an attitude, and have Bolt be some sort of nasty cat or something.” And I said, “You’re missing the point.” And I guess I was the one missing the point, because they turned it down. I pitched it to Accolade, and Accolade said, “Ummmmm, I don’t think so. We’re more interested in a Bubsy 4.” And I said, “I really think Bubsy’s dead by now. Between what you guys did with Bubsy 2 and What I did with Bubsy 3D, it’s time to move on.” They didn’t agree. I had another one called Dingo Dan, who was a dingo from Australia, whose sidekick was a boomerang named Boomer, who would scream when he was thrown and take out enemies for you. Dingo Dan was kind of an anthropomorphized dog. I still have the sketches for these things and the designs, and I just kind of sit on them. It would’ve required a lot of work and a lot of money from a publishing company. At the time, Sony was making noises about wanting to buy the development company, and I had just left it. So Bubsy 4 was not a possibility, and Sparky and Bolt never happened, and Dingo Dan never happened. So I kind of went home and thought about things… I designed a lot of product, but never really wanted to get back into the development projects where there was a producer, a designer, a level designer, twelve artists, two programmers or three programmers. I just didn’t want to do it. It was too much for me. Like I said, when casual games came along, my interest was hugely picked up. I had a brief fling with reinventing the text adventure, which was old Infocom-[style] games. Josh: Which was where you got your start in gaming, right? Michael: I got my start right before Infocom, but it was with two text adventures and two graphic games. I was a writer. I had published three books and taught myself programming. When I went to Infocom, I already had some gaming background and some writing background, so it was easy for me to step into the interactive fiction stuff. Michael: I worked for Electronic Arts… I produced some product for them. Josh: That’s a hell of a resume. Michael: I did some work for Activision too. I mean, I started in the business when there was no business… There were just a half dozen or a dozen people doing this, and the world was wide open to us. Of course there was no money in it at first, but it came. Not to me, but it came [laughing]. In the final part of this interview series, Michael Berlyn talks about his current project Ogg, as well as his detailed, fascinating theory on interactive storytelling. Valkyrie Profile: Confusing or Awesome? It definitely doesn’t hold up now, but Syphon Filter was my jam back in the day. I had never experienced that level of action gameplay before, at least as far as marrying stealth with enjoyable action moments. Michael: I pitched it to Sega, and Sega said, “Not enough edge. Have Sparky be a punk with an attitude, and have Bolt be some sort of nasty cat or something.” And I said, “You’re missing the point.” And I guess I was the one missing the point, because they turned it down. This is my favorite quote. Man, edgy games took way too much precedent in that era and really made it hard for pure, enjoyable fun games to thrive or even see the light of day.